This Worship Boot Camp will be at Grace Center – August 17-18. 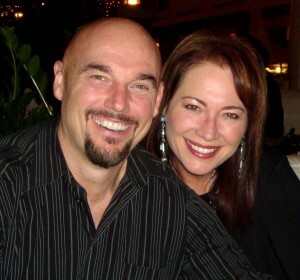 Carl and I have been teaching and leading at worship conferences for more than 25 years with Integrity Music, Maranatha, Focus On The Family, and Worship International. Because of such a great need, in 2001, we started taking our own teams for these intensive team training weekends. It has been very rewarding to see these churches and team members grow. It is an honor and privilege to be finally be hosting one of those events at our home church. REGISTER NOW and you’ll receive a discount including group rate discounts. You don’t want to miss this event for your ENTIRE team. A night of worship will kick off the event. Saturday will be a full day of intensives for you and your team. Breakout sessions on – worship leading, song writing, vocals, drums, bass, guitar and keyboards concluding with prayer and impartation for you. Don’t miss it! It will be a great time of learning to take your personal worship to the next level as well as your congregation. Is this bootcamp going to be merely for teams, or would it be something a potential leader could attend? I’m in the middle of building a ministry with a mutual friend, and worship leading is one area we’re looking at including. I’ve been a worship leader in the past, but was several years ago, and would like to “refresh” myself… Any thoughts or words of wisdom? Our Worship Boot Camp is for EVERY ONE of ALL ages. I will be teaching on vocals and stage presence as well as how to become an effective worship leader. Carl, of course, will be teaching on drums but he also covers building a worship team. So, to answer your question, yes….. I think you would benefit greatly from this conference. The worship times will be rich and a perfect occassion to be refreshed and your vision renewed by the Spirit of the Lord. If you decide to join us, I look forward to meeting you. Me too!! So glad you are going to be a part of this event, Brittany! where is Grace Center? addy? Do you do this bootcamp in other parts of the country? (MN, WI)? I would love to attend your bootcamp after having a taste of your ministry at the Integrity Worship training Grace Church in Eden Prairie, MN a few years ago. I’m 15 hours away and almost want to just jump in the car and go, but wondering first if you offer these other places that might be closer. Thanks for your ministry. Love the music! Hi Janel….jump in your car and come on down. Stay for Sunday too because Heide Baker from Africa is the guest speaker. We will be doing other Worship Boot Camps but we are still confirming those dates. Right now, this is the closest one to you. Thanks for your kind note. I hope we get to see you Aug 17-18….you won’t be disappointed.